Lifelong Bainbridge Island resident, Capt. James Frederick Henshaw, 85, died peacefully on Tuesday, July 18, surrounded by his family. Jim was born in Winslow on July 4th, 1921, the youngest son of Capt. Ward and Margie Henshaw. He attended Bainbridge High School where he lettered in football, basketball and track. After graduation, Jim worked in the Winslow Shipyard but his dream was to become a sailor. He met his future wife, Rosalie (Mickey) Morgan in 1942, when she was visiting friends on the island. They were married in 1944. Five days later, Jim joined the Navy and was assigned to Seattle where he worked as a tugboat captain. Jim continued his tugboat career, moving to Foss Tug and Barge after the war. 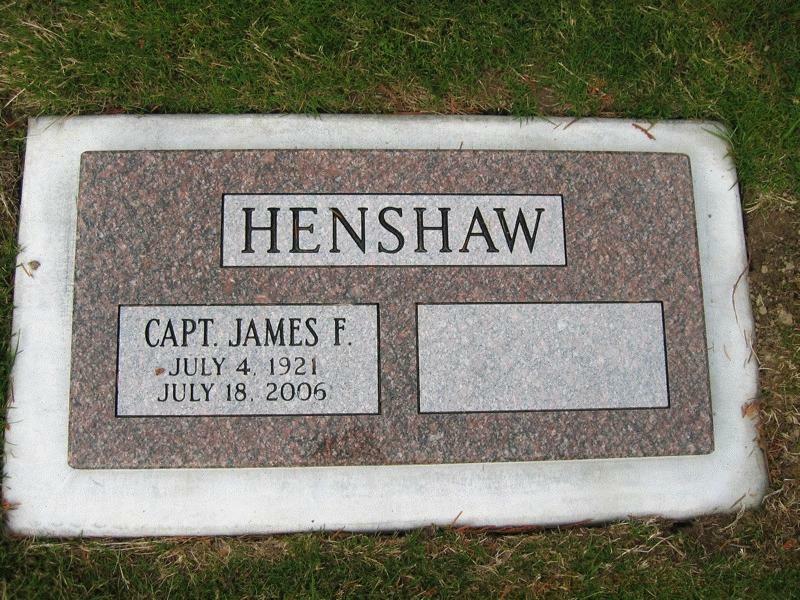 He continued as captain at Foss until 1959 when he joined his brother, Capt Bill Henshaw, as a Puget Sound Pilot. He retired in 1986. Jim is survived by Rosalie, his wife of 62 years; sons, Dan (Carolyn) of Brisbane, Australia, Ron (Kristine) Seattle, Brian (Lindy), Poulsbo, Bill, Seattle; daughter, Patti of Long Beach, CA; grandchildren, Valerie, Heidi, Nicole, Michelle, Bree, James and Robby; and numerous nieces and nephews. He was preceded in death by his parents, brothers, Bill and Jack and sister, Margaret Ann Potter. Jim was an avid sports fan, enjoying high school football and basketball as well as his beloved Huskies, Seahawks and Mariners. He and Rosalie enjoyed golf and were early members of Wing Point Golf and Country Club. They both loved to travel and in retirement visited Europe, Australia and South America. But Jim's favorite place was Maui. Jim will be remembered by many as a dedicated walker who was often seen making his rounds through Winslow with his golf-putter cane. He had a ready smile and friendly word to all he met. A Memorial Service will be held at 2:00 p.m., Tuesday, July 25, at Eagle Harbor Congregational Church in Winslow. In lieu of flowers, the family suggests donations to Eagle Harbor Congregational Church, Bainbridge Island Historical Society or Poulsbo Fire Department Medic Unit. Arrangements by Kass and Cook. Rosalie Morgan Henshaw died peacefully on Tuesday, May 24, 2016 at Liberty Shores Assisted Living in Poulsbo WA. Rosalie was born in Seattle on August 18, 1922, the youngest daughter of Glen and Grace Huber Morgan. Rosalie, known to most by her family nickname of Mickey, graduated from Queen Anne High School in 1940 and attended Whitman College and the University of Washington. In 1942, while visiting friends at the Bainbridge High School tennis court, she met her future husband, Capt. James F Henshaw. They were married in 1944 and made their home on Bainbridge Island. Mickey was homemaker, mother of five, den mother and chocolate chip cookie baker extraordinaire. She is survived by her children: Dan (Carolyn) Canberra Australia, Ron (Kristine) Culver City CA, Brian (Lindy) Poulsbo WA, Patti, Long Beach CA and Bill (Tamarra) Olympia WA; her grandchildren: Valerie, Heidi, Nicole, Michelle, Bree, James, Robert, Sarah and Jess ; and her great-grandchildren: Cameron, William, Isabella, Hugh, Harry and Lily. Also several nieces and nephews. She was preceded in death by her husband of 62 years Jim, her parents, her brother Jack Morgan and her sister Lorraine Teasdale. Mickey and Jim were fans of the Huskies, Seahawks and Mariners and had season tickets for many years. They enjoyed playing golf and were early members of Wing Point Country Club. In retirement they traveled throughout the United States, Europe, Australia and South America. Their favorite places were Hawaii, Palm Desert, the family property in the Elwha River Valley and anywhere in their motor home. Mickey was a long time member of Eagle Harbor Congregational Church and St. Barnabas Episcopal Church. At Mickey's request, there will be no service. 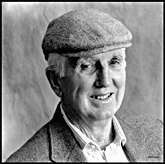 In remembrance of Mickey's life, the family suggests donations to Eagle Harbor Congregational Church or Bainbridge Island Historical Museum. Obituary of William Woodward Henshaw. Obituary of James Frederick Henshaw. 1930 census, Eagle Harbor Precinct, Kitsap County, Washington; roll T626-2506, ED 20, page 3B, line #66, dwelling #60, family #60. Obituary of Mary (McArthur) Henshaw.